I read TPH years ago but I don't remember very much about it. I want to reread the Cathers I read back then as well as the ones yet unread. I plan to read this in the summer as part of my efforts to read all the Pulitzer Prize winners written by women. I'm so glad to hear that you loved it. I revere Willa Cather and admire her beautiful writing. Death Comes for the Archbishop is one of my favorite novels and the way she describes New Mexico is stunning - it is a treat! I'm very much looking forward to DCFTA, I think it will be my next Cather. Your project sounds fascinating, I'm sure there are quite a few women Pulitzer winners who have been unjustly forgotten. I loved this one too when I read it fairly recently, but then I've enjoyed all of the Cather books which I've read. Like you I especially enjoy her ability to describe scenes, it's great if the setting is one which you have never seen yourself - like Nebraska for me, but I felt I was there. Her sense of place is wonderful, isn't it? I'm looking forward to reading more of her books. I tend the have mixed feelings about this book, like a number of the critics did, but I love Cather's novels and short stories, have them all in the previous Vintage paperback editions. Glad a new edition of the novels is being done. Nice piece. I have a volume of the short stories as well as a few more novels to read & I'm looking forward to them. I loved Claude & his struggles & thought the WWI chapters were really well done, the contrast between the idyllic moments away from the Front & the experiences in the trenches. Well, yes! But why didn't Claude listen to her father? All the clues were there that she was the wrong girl for him but he was caught up in another kind of idealism. I did enjoy reading about their house & all the work that went into it though. Just a shame it was all for nothing. 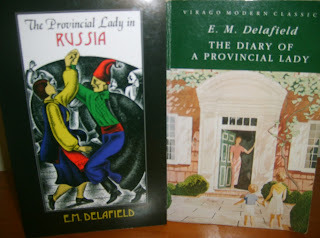 I read TPH a long time ago but want to reread it, along with quite a few of her other books. I wish I had more time for rereading! Definitely sooner, Brona Joy! I've enjoyed all the novels & stories I've read but OOO was very good. DCFTA is my favourite novel of her novels, and then Shadows on the Rock, which is also wonderful. She is such a perceptive writer. DCFTA will definitely be next for me, so many people love it. Added to my list, Lyn. 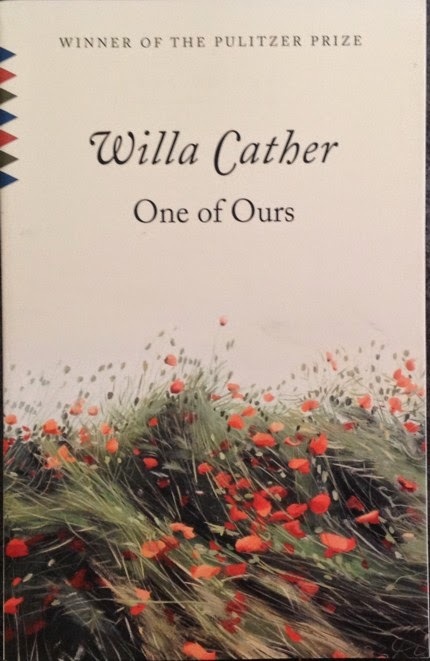 I've never read any Willa Cather (though I might have in school.) And I love your enthusiasm about this novel. Thanks Yvette. I loved this book, as you can no doubt tell, & I think you'd enjoy it. I suppose O Pioneers! & My Antonia are considered more "typical" Cathers but the Nebraska section of this book is just as good.